“If you can read this, it’s already too late. This was supposed to be a warning. I can’t remember my name anymore, or the faces of the people I might have loved, or who might’ve loved me. All I remember is the change. Just woke up one day in a room. Probably my room, but I don’t remember where it is, or what it looks like, what kind of posters might be on the walls, if I am messy or neat. I woke up hungry. I walked through an apartment, or a house, to the kitchen. I might have passed family, or a girlfriend, or a wife, or my children. I don’t know how old I am, so I don’t know if it’s possible that I had a family of my own. I just remember the hunger, how bottomless it was, is, how nothing seemed to touch the collapsed walls of my empty stomach. Once the food was gone I left. Maybe this town, maybe another. Even before the change they all kind of looked the same, right? I feel like that’s right, although I can’t remember. Spent however much money I had left at a restaurant. Did I impress anyone paying attention with how much I ate? Did I disgust them? No matter how much, though, I was still hungry. Am still hungry. I don’t remember when I felt full, finally sated. Nor do I remember who is was that sated me. Was it a man or a woman? A child? What color were their eyes? I’m fading more and more. I have been reduced to a single biological impulse, the lizard-brain need to feed. This was supposed to be a warning, tacked up on this pole near the woods behind you. 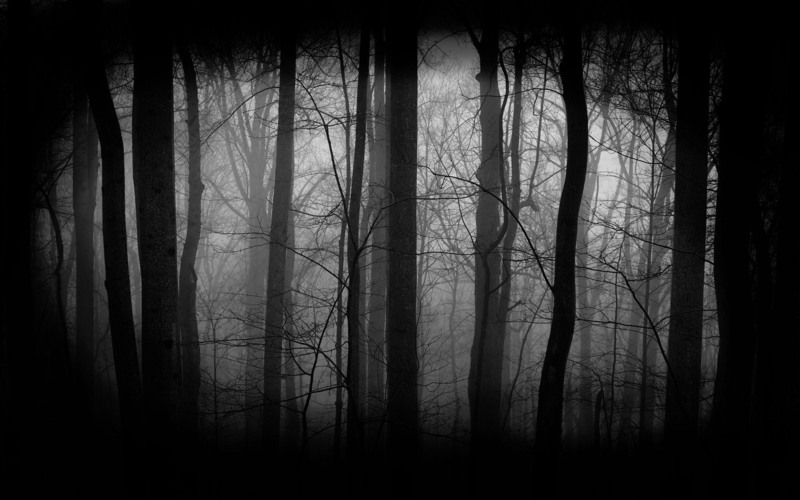 I had hoped that I would just disappear into the trees and die, but the hunger won’t let me die. It grows, alive, demanding to be worshipped, and I can do nothing but supplicate and worship. I tried, I did, I promise. For what it’s worth. Behind you, a twig snaps.